A Grantham solicitor who became qualified just before Margaret Thatcher became prime minister is celebrating 40 years of being in the job. Robert Clark, who has worked for Chattertons Solicitors & Wealth Management for more than half of his career, says he enjoys the job “more than ever”. Robert officially began his career on April 2, 1979 when he started working for a small firm, gaining varied experience within many areas of the legal system. However, he wanted to concentrate on specific areas of the law, so accepted a job with Chattertons Solicitors & Wealth in November 1997 at the company’s Horncastle office, before transferring to the firm’s Grantham office five years later. Now an integral member of both the Personal Injury and Dispute Resolution Teams, Robert says he currently has no plans to retire, but will be marking his career landmark with a trip to Chicago with family. 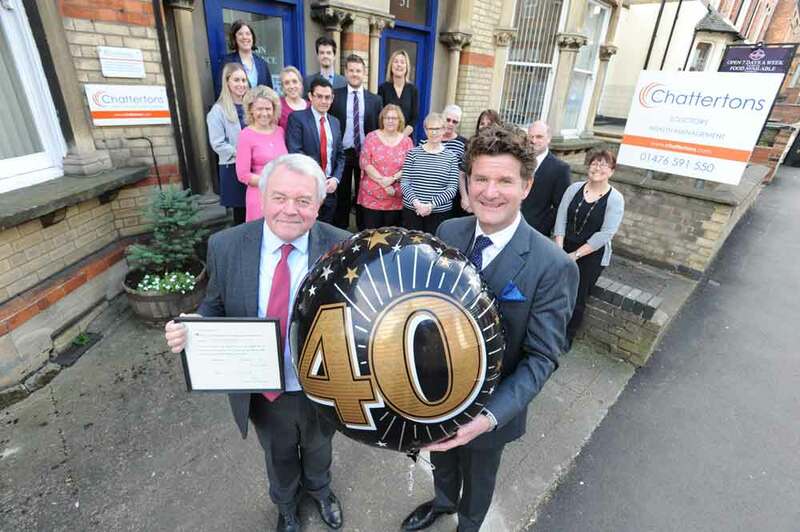 “It is a tremendous achievement to have worked as a solicitor for 40 years and we’re proud to have such an experienced, hard-working and loyal member of the team. “Robert brings a wealth of experience to all the cases he undertakes. Not only is he an expert in contractual disputes, negligence claims and debt recovery, but he has also developed a specialism in property related disputes, particularly relating to commercial property. Chattertons Solicitors & Wealth Management is a leading chain of solicitors and provider of wealth management services in the county. It provides a wide range of services delivering advice to individuals and businesses. For more information about Chattertons, visit http://www.chattertons.com.